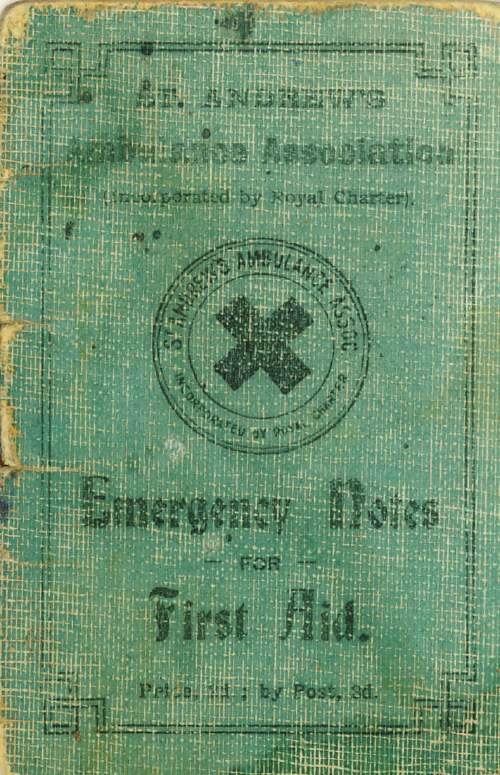 First Aid booklet used by Special Constable Alex Mackay, issued by St. Andrew's Ambulance Association; 8 pp. with green card cover. Title "Emergency notes for first aid", with space for notes. Includes handwritten certification by Sgt. M. McKenzie. I donated this booklet a number of years ago. Mr Mackay was a relation of my father and was over 100 years old when he died.